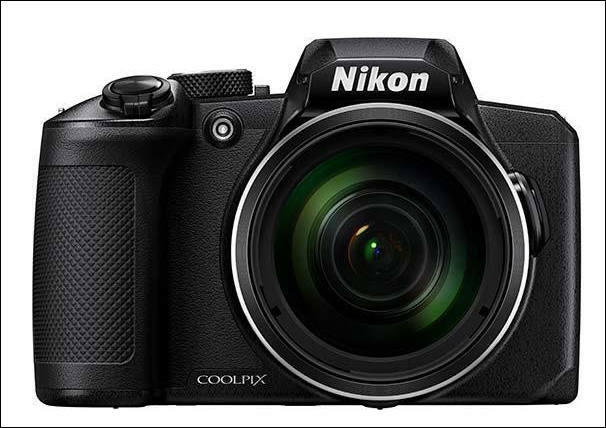 The COOLPIX B600 bridge camera packs a 60x optical zoom, a large monitor, and a sturdy grip. Whether it’s a family trip to the park or a city break, this camera is a brilliant all-rounder. It shoots Full HD video in stereo sound. A host of in-camera creative modes make it simple to add an artistic touch to photos or movies. NIKKOR 60x optical zoom lens. Focal length of 24–1440mm. Extends to approx. 2880 mm with Dynamic Fine Zoom. Full HD movies. Simply press the dedicated movie button to begin recording Full HD (1080p/30p) with stereo sound. Large monitor. 3 inch, 921k-dot LCD monitor with adjustable brightness. Treated with an anti-reflective coating. Fast autofocus. Target finding AF ensures subjects snap into focus quickly, even in low light. Easy artistry. Creative Modes for photos and movies. Macro Mode for great shots of tiny wonders. Today, Nikon Inc. announced the U.S. availability of the COOLPIX A1000 and COOLPIX B600, Nikon's newest high-power point-and-shoot cameras with exceptional zoom capabilities built-in. Designed for the everyday photographer who wants optical capabilities that far exceed a smartphone, the A1000 and B600 feature lenses with 35x and 60x zoom respectively, enabling users to capture high-quality images across a wide range of shooting scenarios. "Customers looking for a compact camera are seeking features smartphones simply cannot deliver, including amazing zoom and the low-light capabilities to capture the moments that matter most," said Jay Vannatter, Executive Vice President, Nikon Inc. "The COOLPIX A1000 and COOLPIX B600 are the ideal tools to deliver just that, by providing the photo, video and optical power that users need to take their photography to the next level." The compact COOLPIX B600 is equipped with a 60x optical zoom NIKKOR lens that covers an impressive focal length range equivalent to 24-1440mm^1^, enabling users to easily capture events from wide-angle landscapes to super-telephoto close-ups of their favorite ballplayer sliding into home plate. This big zoom power is packed inside a simple and lightweight form factor, making it a great choice for the everyday photographer looking to document their life from both near and afar.